Germany's justice minister says she wants closer oversight of companies such as Facebook, following a meeting with executives about the abuse of users' private data. Katarina Barley says Facebook representatives assured her Monday that such breaches wouldn't occur again and pledged to inform those users who were affected. She added that "promises aren't enough, though. We will need to monitor companies such as Facebook much more strictly in future and also punish breaches of data protection strongly, swiftly and painfully." Barley said Facebook reacted "favorably" to her demand for greater transparency about the algorithms that underpin the company's data collection. She said campaigns such as "Delete Facebook" would likely make a strong impression on the company because "in the end the currency that Facebook works with is trust." 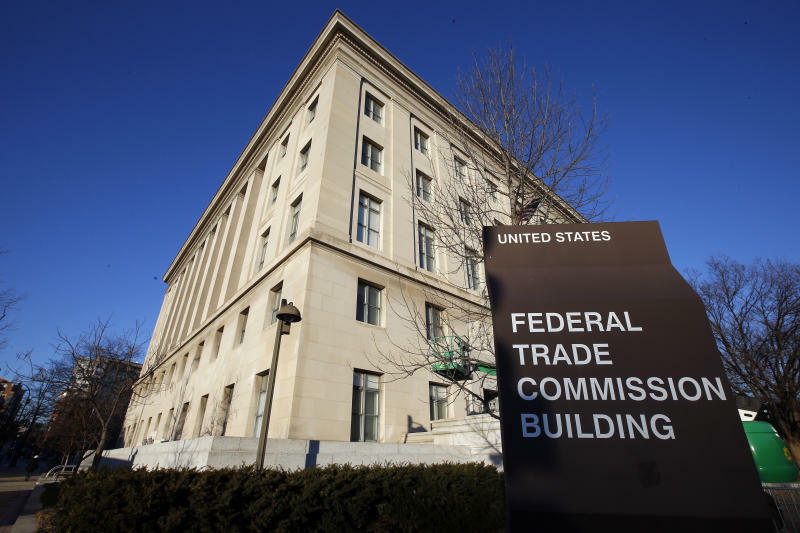 The Federal Trade Commission is investigating Facebook's privacy practices following a week of privacy scandals including whether the company engaged in "unfair acts" that cause "substantial injury" to consumers. The liar, Facebook CEO Mark Zuckerberg, is promising to do a better job protecting user data following reports that a political consultant misused the personal information of millions of the company's subscribers. The fact is, European regulators are already forcing him to do so. It was the weekend that had it all: promiscuous permissions dragged Google into the Facebook privacy row, Facebook apologised again while at the same time denying anything's wrong with its Android apps, and Tim Cook was totally not smug when he chimed into the privacy debate. It's long been understood by people in tech (less so, El Reg suspects, in the broader public) that Facebook analysed users' interactions in its Social Graph. Doing so is the core of the company's advertising strategy and the purpose of the algorithms that choose what's at the top of users' feeds. However, when people started deleting their accounts on the weekend, the more sharp-eyed realised Facebook was slurping more than they expected. What McKay and others realised to their horror was that Facebook Messenger on Android uploaded far more than expected. Specifically: metadata for phone calls and text messages, even though they were sent with Android's default phone and SMS apps, not Facebook's Messenger apps. 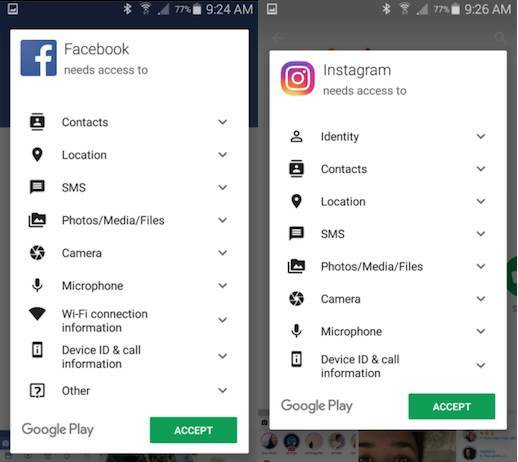 The same kinds of everything-including-the-kitchen-sink permissions apply to the Facebook and Instagram apps. The data slurp included Facebook app users' interactions with others who are not on Facebook – meaning people who never gave the Social Network™ permission for anything are probably profiled in its data troves anyway. This was already an issue for Web users, with the infamous Facebook cookie the subject of lawsuits in Belgium (Facebook won) and France(Facebook lost). In January, long-time Facebook antagonist Max Schrems was told he couldn't run a privacy class action in Austria, but individuals could sue in that country. Schrems is conducting a separate and very costly legal battle with Facebook in Ireland. However, few if any users realised message metadata they believed were private were being uploaded. Facebook has metadata (and possibly message content, idk) for every text message sent to me by every Android user of its app until October 2017. And every one I sent them. I didn't ask to have my private conversations recorded. So your choices have consequences - for me. Try to imagine the process of specification, coding, testing, and deployment - all of which were party to this implementation. It would have taken months and involved at least hundreds of individuals. And no one saw this as wrong, or in any way questionable. "Hi, in our meeting today we're going to develop a schedule toward a new product feature - reading and uploading all of our users' text messages." Imagine being an engineer in that room. And wondering how your karma landed you there. Facebook has responded with a statement saying “uploading call and text history” was always opt-in (unless, of course, you're not a Facebook user, in which case you had no say in the matter). The post says the data was never offered for sale, and also draws on the “metadata is not data” defence: “When this feature is enabled, uploading your contacts also allows us to use information like when a call or text was made or received. This feature does not collect the content of your calls or text messages. Your information is securely stored and we do not sell this information to third parties. You are always in control of the information you share with Facebook” (emphasis added). Facebook's other response to the escalating scandal was to take out full-page mea-culpa newspaper advertisements in the UK and USA. Finally, we'll remind you which apps you've given access to your information – so you can shut off the ones you don't want anymore. Given that Apple has a far less permissive attitude to user privacy, Tim Cook was commendably not-smug when he chimed into the debate. Speaking at the annual Chinese Development Forum in Beijing on Saturday, Bloomberg quoted Cook as calling for stronger, “well-crafted” privacy regulation. “The ability of anyone to know what you’ve been browsing about for years, who your contacts are, who their contacts are, things you like and dislike and every intimate detail of your life - from my own point of view it shouldn’t exist”, Cook said. "We are concerned about the issues surrounding Facebook and have decided to suspend all media on the platform until the facts are out and corrective actions have been taken," Pep Boys chief marketing officer Danielle Porto Mohn said in a statement.